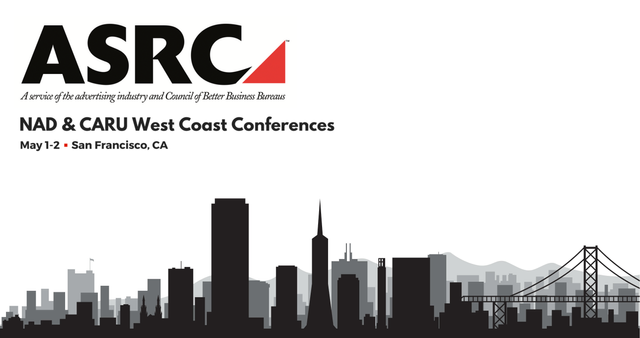 We are proud to sponsor and present at two of the leading advertising self-regulatory conferences – the National Advertising Division (NAD) and the Children’s Advertising Review Unit (CARU) – coming up on May 1st and 2nd in beautiful San Francisco. Friends of Frankfurt Kurnit receive $100 off the registration price for each program. Register here https://tinyurl.com/yc3d2etq using promo code “FKKSwest”. What’s in store? On May 1st (NAD) you’ll hear from NAD Director Laura Brett and enjoy a keynote from Mary K. Engle, the FTC’s Associate Director for Advertising Practices. Yours truly presents “NAD from the Inside Out: A Roundtable Primer.” We’ll cover vexing issues in claim construction and substantiation, including puffery, use of humor, demonstrations, line vs. single-product claims, superiority vs. parity, and more. I’ll be joined by NAD Deputy Director Martin S. Zwerling and Amy Mudge of Venable. Other panels will discuss social media, hot topics in tech advertising, and the ever-shifting regulatory landscape of the great state of California. You’ll want to stay for the CARU day too. My colleague, privacy ace Daniel Goldberg, will share Practical Tips for App Developers. Daniel will be joined by speakers from Autodesk, Wizards of the Coast, and CARU. You’ll also hear from CARU’s new director, Dona Fraser, and enjoy a keynote by Don McGowan, CLO and Business Affairs, The Pokémon Company Int’l, Inc. Plus the State of COPPA … Why Inclusive Marketing and Corporate Social Responsibility are Good for Business … Reimagining Kids – Connected Toy Story … and more. Daniel and I hope to see you there!